Amazon India's 'Best of Prime 2018' is the list of products what the Prime members shopped for, watched, listened to, and read most in 2018. Amazon India has announced its 'Best of Prime 2018' - a list of products what Prime members shopped for, watched, listened to, and read most in the 2018. 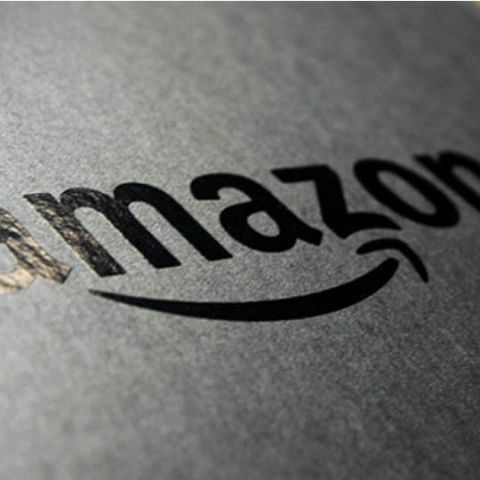 According to Amazon, most shopped exclusive launch this year was OnePlus 6, most popular products were Amazon Fire TV Stick and Madhur Sugar and the fastest Prime delivery was in 4.57 minutes. The most binged series for Prime Video this year is the Prime Original, Mirzapur, most streamed artist on Prime Music is Arijit Singh and the most borrowed title on Prime Reading is Immortals of Meluha. Bengaluru: Amazon India today announced the Best of Prime 2018, highlighting how the program has evolved and how Prime members across the country enjoyed amazing benefits and offers throughout the year. Prime brings to members the best of Amazon in India with unlimited free 1 and 2 day delivery, exclusive launches, early access to sale events, video streaming, and much more.Prime introduced 2 new benefits in 2018, Prime Music and Prime Reading now included in members existing subscription at no extra cost. More new members signed up for Prime in 2018 than ever before. Top honors went to Mirzapur, Comicstaan and Breathe (Three most binged Indian Prime Original series on Prime Video), Arijit Singh (most streamed artist on Prime Music), Immortals of Meluha (most borrowed title on Prime Reading*).OnePlus 6 (most popular Prime Exclusive launch), Amazon FireTV Stick, Madhur sugar, JBL headphones, MI power bank, Haier washing machine, and MI TV (most popular products). Amazon India’s Best of Prime 2018 can be found on Prime Insider at amazon.in/bestofprime. “We loved delivering smiles throughout the year, whether through blockbuster Prime originals like Mirzapur, exclusive launches of top products like OnePlus 6, latest songs and specially curated playlists on Prime Music, or through early access to our biggest Diwali sale. . We are humbled by the tremendous response from members to their latest benefits- Prime Music and Prime Reading, and really believe that the simple all-inclusive Prime membership at Rs. 999 a year or Rs. 129 a month is truly the best deal in shopping and entertainment today..” said Akshay Sahi, Director and Head of Prime, Amazon India. Most Popular products during the year included Amazon Fire TV Stick, Madhur Pure and Hygienic Sugar, JBL In-Ear Headphones with Mic, Mi 10000mAH Power Bank, Haier 5.8 kg Fully-Automatic Top Loading Washing Machine and Mi LED TV 4C PRO (32”) Android TV. The top product sold on Prime Day 2018 was Redmi Y2 Gold 32GB Smartphone. Among Exclusive Products launched on Prime Day, NesPlus became no. 1 in the gourmet section of grocery, selling 1 unit every 3 seconds. 2018 was an exciting year for Prime Video with multiple Prime Original series like Breathe, Comicstaan and Mirzapur, being launched. The shows were loved by consumers across the length and breadth of the country. Besides English, Prime Video is now available in 6 Indian languages including Kannada, Tamil, Telugu, Marathi, Bengali and Hindi. Prime Video also introduced Hindi, Tamil and Telugu user interfaces which included navigation, browsing, and customer support, in a bid to offer a more localized experience to its customers. A significant selection of Prime Video content now features show descriptions and subtitles in these languages. The three most binged Indian Prime Original series and the top Indian TV shows were Mirzapur, Comicstaan and Breathe. The top cities in India that streamed the most hours of Prime Video were Bangalore, Hyderabad, Mumbai, Delhi. This just in: The two most binged Prime Original series worldwide include Tom Clancy’s Jack Ryan starring John Krasinski and Homecoming starring Julia Roberts. Amazon Prime Original Inside Edge becomes the First Indian Show from the Video Streaming Industry to be nominated for the coveted 2018 International Emmy® Awards. Prime Members thoroughly enjoyed Amazon Prime Music curated Playlists, with the top 3 favourites being Hot Right Now Hindi, Fresh Hindi and Hot Right Now Pop. The most streamed playlists in 2018 were - “Hot Right Now Pop” in English, “Hot Right Now Hindi” in Hindi, “Fresh Malayalam” in Malayalam, “Best of Ajay-Atul” in Marathi, “Hot Right Now Punjabi” in Punjabi, “Hot Right Now Tamil” in Tamil and “Fresh Telugu” in Telugu. Most requested song from 2018 on Prime Music via Alexa in India was ‘Shape of You’ by Ed Sheeran. Immortals of Meluha (the Shiva Trilogy Book 1), was the most borrowed title in a single day on the first day Prime Reading launched in India. Members love super heroes - two Marvel comics, “Captain Marvel Vol. 1: Higher, Further, Faster, More” and “Avengers vs. Thanos” were among the top 10 books borrowed on Prime Reading. For the first time, customers experienced launches from top brands in Virtual Reality (VR) at select malls in Mumbai, Delhi NCR, Bengaluru, Chennai and Kolkata. Prime members got 12 hours of exclusive early access to the Great Indian Festival sale on October 9, 2018, with Prime members shopping more than ever on any single day, since Prime launched in India. Xiaomi TVs sold out in less than 10 seconds during Prime Early Access for the Great Indian Festival this year. Prime members can now enjoy exclusive offers when they use Amazon Pay. On Amazon.in, members can earn upto 2% Prime Reward on every order placed, saving up to Rs. 2400 a year. Members can also experience & enjoy Prime exclusive offers when they book their movie or travel tickets, order their favourite food on popular partner sites & apps when they pay using Amazon pay. Most popular partner apps/sites were Swiggy, BookMyShow and Redbus. On partner apps/sites, 7 out of 10 Prime members came back every month and paid using Amazon Pay. Prime is designed to make your life better every single day. Over 100 million Prime members around the world enjoy the many benefits of Prime. In India, this includes unlimited free & fast shipping, unlimited access to award-winning movies & TV shows with Prime Video, unlimited access to millions of songs ad-free with Prime Music, Prime Reading, exclusive product launches, early access to Lightning Deals and more. Members in Delhi NCR, Bengaluru, Hyderabad and Mumbai can enjoy ultra-fast 2-hour delivery on Amazon devices, consumer electronics and everyday essentials on the Prime Now app. Log on to www.amazon.in/prime and become a Prime member today. The Best of Prime analyzed how Prime members worldwide enjoyed their Prime benefits. Asterisks indicate analysis from October 1, 2017 through September 30, 2018, unless noted otherwise; additional claims indicate analysis from November 1, 2017 through October 31, 2018. Information included in all results examines data at a collective level, without viewing personal information by specific Prime members.